The embattled ASX-listed department store announced the appointment today, outlining King’s experience leading the successful transformation of UK department store giant, House of Fraser, from 2006 until its sale to Chinese conglomerate, Sanpower, in 2014, as a key reason for his appointment. The deal was worth £480 million. “Over the course of his tenure at the House of Fraser, John and his team consistently grew revenues, differentiated the product offering and launched a successful online business, improved EBITDA and reduced the company’s debt,” Myer executive chairman, Garry Hounsell, said in a statement. King’s appointment comes two months after former CEO and managing director, Richard Umbers, stepped down from the role just days after issuing a half-year finances warning and decision not to name a net profit guidance figure to the stock exchange. Umbers’ departure also came just three months after Hounsell took up the chairman’s position and immediately began expressing his frustration at the state of the company’s performance and turnaround. King has more than 30 years in the retail trade, working across merchandising, store operations, ecommerce, sourcing and supply chain. Since leaving House of Fraser, he’s been in the US, consulting to a number of US-based retailers and working with several startups. 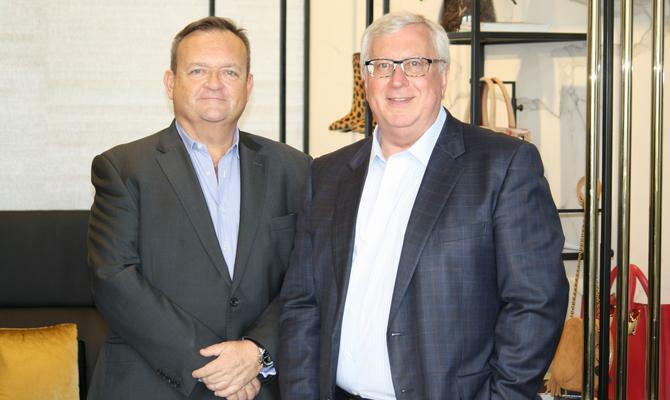 Myer kicked off its $600 million ‘New Myer’ strategy more than two years ago, a transformation agenda aimed at improving its customer focus, experiential offerings, omni-channel shopping capabilities and lifting productivity across the group.